Chipp Reid edited and completed the late Stanley L. Quick's work on the new book Lion in the Bay: The British Invasion of the Chesapeake, 1813-14. 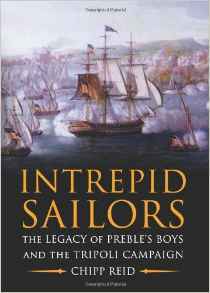 Reid also has written the book Intrepid Sailors, and has worked as a reporter and editor. 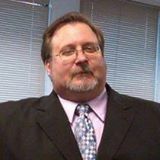 He is a licensed ship captain and lives in Annapolis, Maryland. Q: You write that your work on this book was “an eighteen-month odyssey filled with frustration, discovery, and a great deal of learning.” How did you come to work on this project, and how much of the book was already completed? A: The Naval Institute approached me in 2014 with the manuscript [the late] Stanley [Quick] had done. I’m a subject matter expert in Marine Corps history for that period…but a lot of the local history was all new to me. Stanley did an incredible job. The book was 65 percent done. His original manuscript ran 490 pages. I culled it down to about 240, leaving space so I could finish the book. Q: In the book, it states that as of 1813, “it was clear the Americans and British viewed the Chesapeake theater in very different ways.” What were those differences, and how did they affect the progression of the war? A: The Americans didn’t view it as a theater of war, period, for the administration. For the locals, it was very much a theater of war. The campaign was very personal to residents of the Chesapeake, but the Madison administration pretty much ignored the Chesapeake. Washington, D.C., in 1812 was still a dirty, muddy, swampy, not-really-built city with no meaning to the British. The British viewed the Chesapeake as a way of relieving pressure on the Canadian border, where most of the war was fought. [The Chesapeake] was a big recruiting area—the British believed if they hit in the Chesapeake, recruits would stay home and supplies flooding to Canada from the region wouldn’t go, and it would turn off the privateers’ operating from Baltimore. They saw it as a legitimate, we need [to succeed] in the Chesapeake sort of thing. The Americans saw it as not very important; they were not going to allocate resources. There were a lot of politics involved. The division between the Federalists and the Jeffersonian Republicans became so great—Maryland was a Federalist state; Virginia was [not]. As the governor of Maryland pointed out, Virginia had to ask for something and they got it, while Maryland had to find it themselves. Q: What are some of the most common perceptions and misperceptions about the war of 1812? A: People view it as when "The Star-Spangled Banner" was written. That’s all the history people know. They have no idea that the War of 1812 cemented our hold on the Louisiana Territories. Minnesota, Michigan, Indiana, Illinois, parts of Ohio, going into Iowa and Wisconsin, this was all ceded to the U.S. after the Revolutionary War but the British never evacuated. The British would inflame the Native American tribes. It was the end of the Revolutionary War. In many ways, the war [of 1812] was for respect. The British didn’t have a lot of respect for us. The American character was, Don’t get in my face. The British were in the Americans’ face in the run-up to the War of 1812. On a national scale, there was a new, brash, enterprising nation saying to its former mother country, Back off! Also, it was the first time you see a massive antiwar [effort] established in the United States. In the Northeast, sentiment against the war was so high, there was talk of secession. Q: How was the book’s title chosen, and what does it signify to you? A: Stanley’s original title was "Trident in the Sand," but none of us knew what that meant. 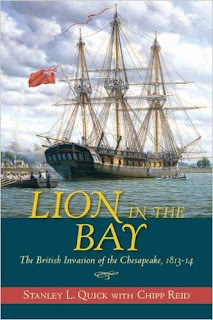 In talking to the editor, the British lion, hanging out in the Chesapeake Bay…it was a marketing decision. The way I try to approach history is to emphasize the story, and make sure as I’m telling it that everything is factually correct and completely sourced…I’m not going to quote something from a book that quotes another book. I let the primary sources tell the story in their own words--that stems from my newspaper background. Stanley’s research lent itself to that. What I wanted to emphasize with the title were the stories. A: ...The Naval Institute is a niche publisher—they are phenomenal in getting peer review, and making sure when someone opens the book, everything is spot-on correct. Hopefully, it’s a good story and a good read.